A great aroma hop for German beers. Also known as Hallertauer Tradition, this hop has a super clean floral and herbal aroma which will go great in any German lager! 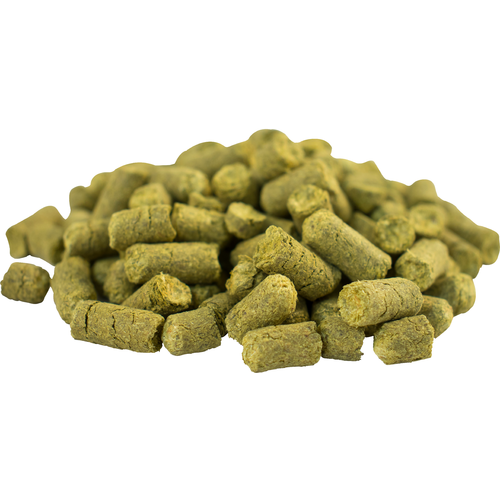 This hop was originally bred at the Hull Hop Research Institute in Germany for it's resistance to disease, and now it is a defining hop in a number of the region's Pilsners and Hefeweizens. This is the first German hops I used, and I liked the character it left in the beer. It is a good flavor/aroma hops, but has a fine and delicious bittering quality when used early in the boil. Really like the flavor and aroma but my hops came in at a really low 3% alpha which I wasn’t expecting so my beer needed more hops to get the bitterness I was looking for. Otherwise I’d try these again but I’d buy more just in case. These caught my eye because the storabilty was good compared to other noble varieties. Though not as traditional as hallertauer or saaz, this high humulene hop has all the chemical characteristics of a noble hop. I used a whole pound last year in my continental beers and found it to provide the perfect German character. Highly recommended. Seemed like a bit more aromatic version of Hallertau that it's related to.